On my way home from work the other day I just had to stop by Waterloo Park and grab a few shots of the small frozen waterfall. For any new visitors here you can see what it looks like in the fall here. Enjoy, and as always, comments are welcomed! Thanks Amber! 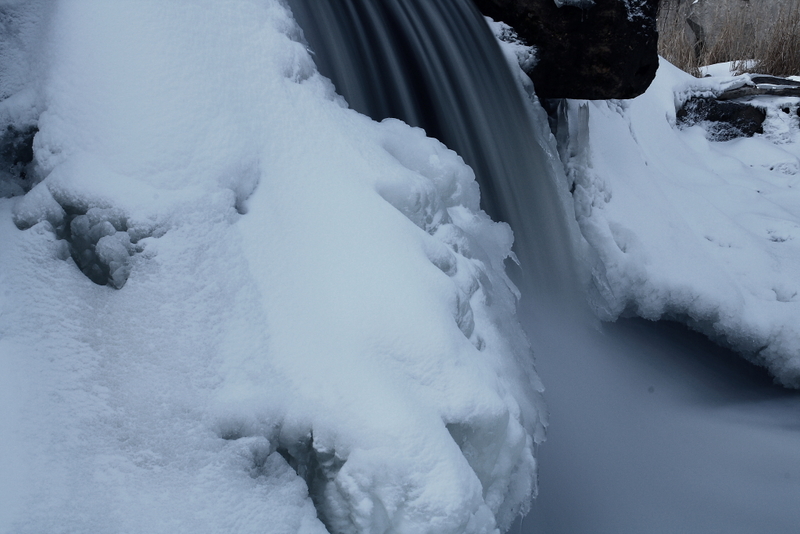 I suppose you don’t get to photograph frozen waterfalls too often where you are. 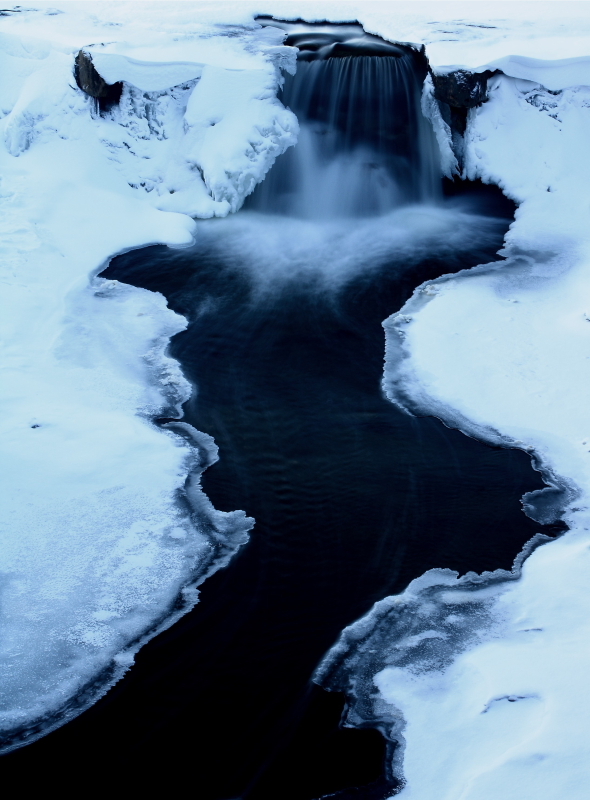 Will this waterfall ever freeze completely solid? This probably wouldn’t freeze completely, but the amount of freezing is pretty significant. If you check out the link in the post you’ll see the difference from fall to winter – pretty neat. You’ll have to make a road trip in the winter to find some crowdless, frozen Canadian waters. Hey Mike, once again I find myself looking at your blog. Something I have do every time you post. This post however, is special. 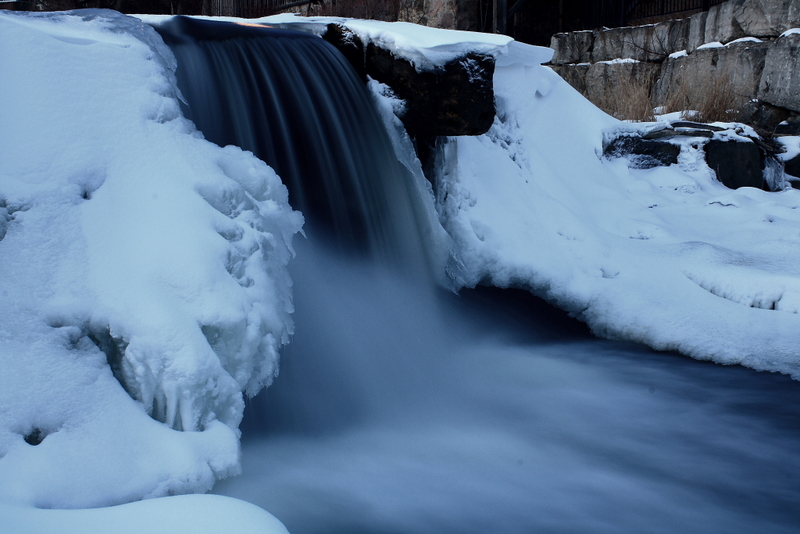 One of my favorite things to photograph is moving water and even better moving water in winter. Here you are with three fantastic shots. The first is my favorite of the three. What a great picture. I now have someone to compete with, lol. Great job Mike, I can’t wait for you next post. Thanks Lee! I love to photoghraph moving water as well. It just looks amazing with the longer exposure. When I took these I was really thinking of your work at Cameron River, so your influence is in there for sure!